Cleveland Clinic’s Clinical Research Unit (CRU) provides an environment to conduct high-quality, compliant clinical research. The unit provides both inpatient and outpatient settings for research participants involved in studies by investigators. The CRU is located on the 5th floor of the M building at Desk M51 on the main campus. The 6,825 square-foot unit includes examination and procedure rooms, a processing laboratory, specialized research equipment, a conference room, and more. 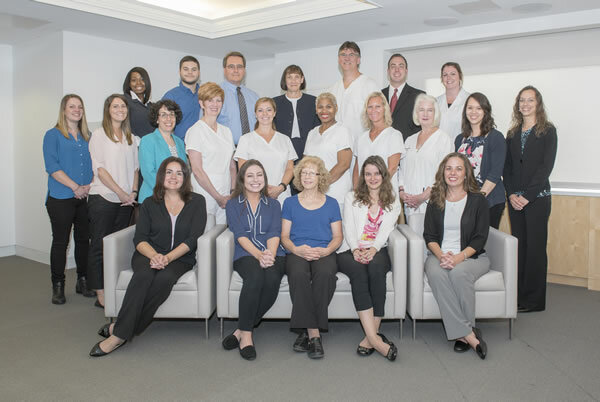 Our trained nursing and laboratory staff provide a safe, controlled environment for investigators to conduct state-of-the-art patient-oriented research studies. The CRU supports all levels of investigators including those in training. We encourage investigators who have research project funding from the NIH or other Federal agencies, foundations, industries or other peer-reviewed sources to apply to use the resources of the Clinical Research Unit. (Pilot projects are also considered eligible if there is a plan to seek extramural funding). The entire M51 CRU Team was selected as a 2013 Team Caregiver Awardee! This institution-wide recognition shows the reach we have for great research support we provide.